So here we are again, what is now our third Rallye build (with hopefully many more to follow). 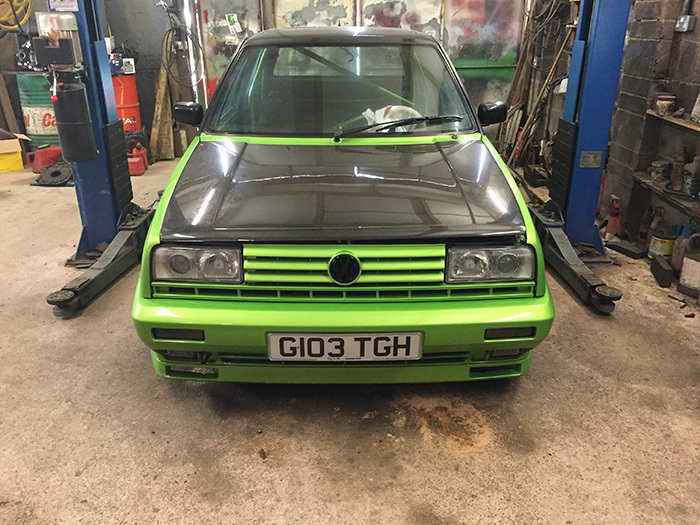 This time we have been tasked with the full rebuild of this special hot hatch from top to bottom. 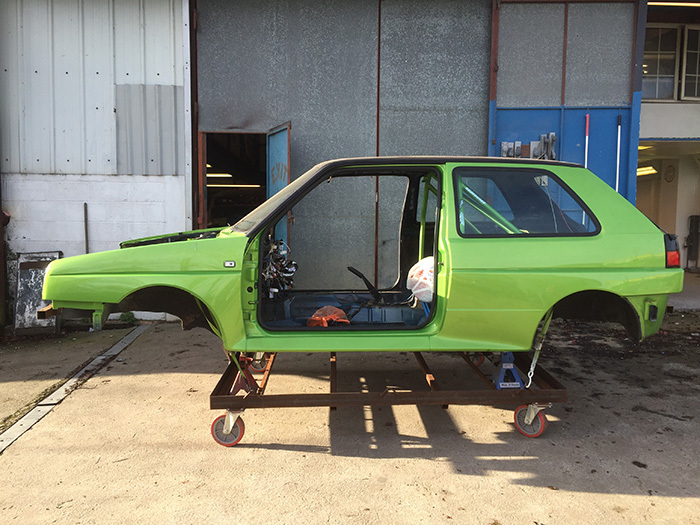 The Mk2 Golf Rallye drove into the shop from London in December last year (2015) for a full overhaul. The aim is to unveil the car at ultimate dubs in early 2018, though we won’t be rushing the process to make the show, it’s more of a soft deadline but so far we are currently well on track. 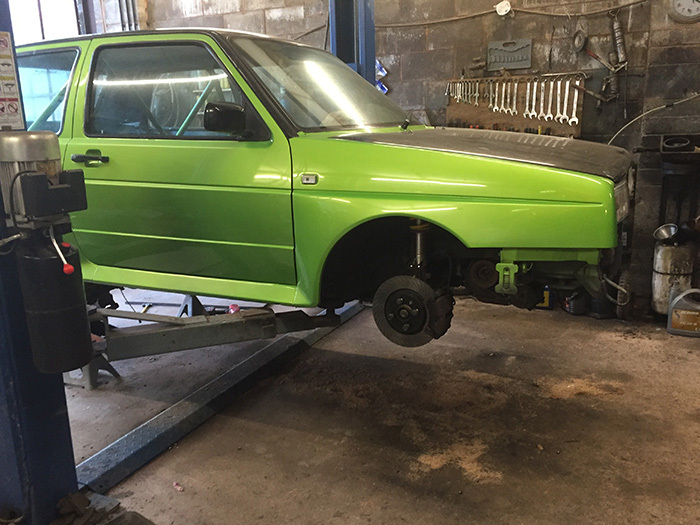 Over the coming weeks we will post regular updates to bring you up to date in the build process of this iconic, four wheel drive, piece of Volkswagen history. 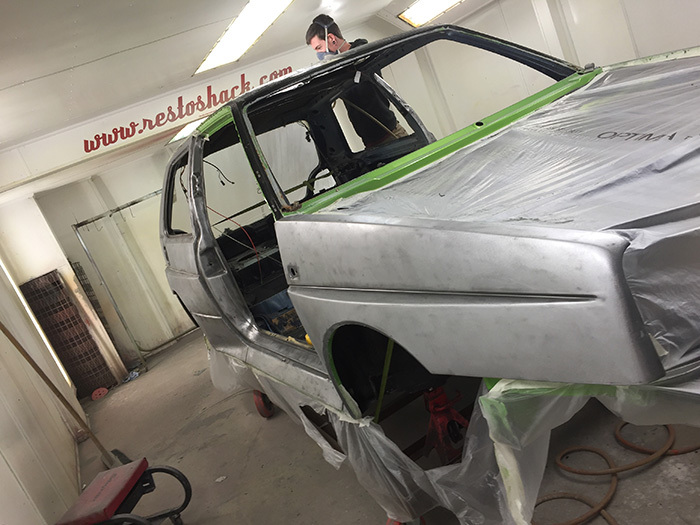 We began the same way as all builds with disassembly, every component of the vehicle will be given some kind of attention, whether it be plating, powder coating, paint, polish or just a good clean via vapour blasting. 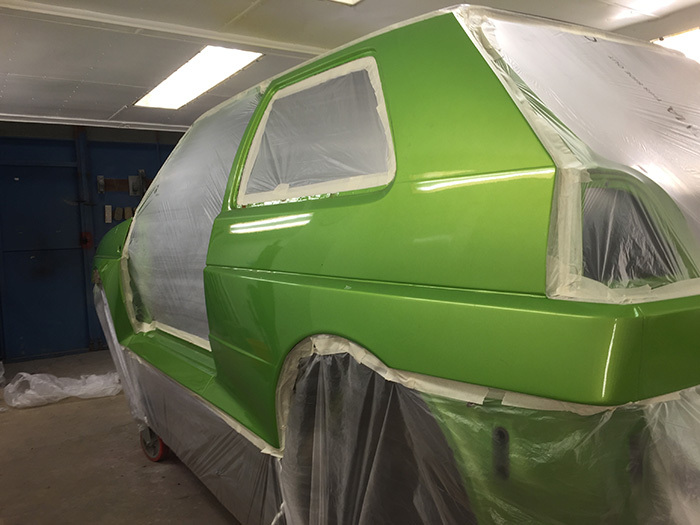 The entire look of the car will be changed inside, outside and underneath without losing the look and feel of the classic car. 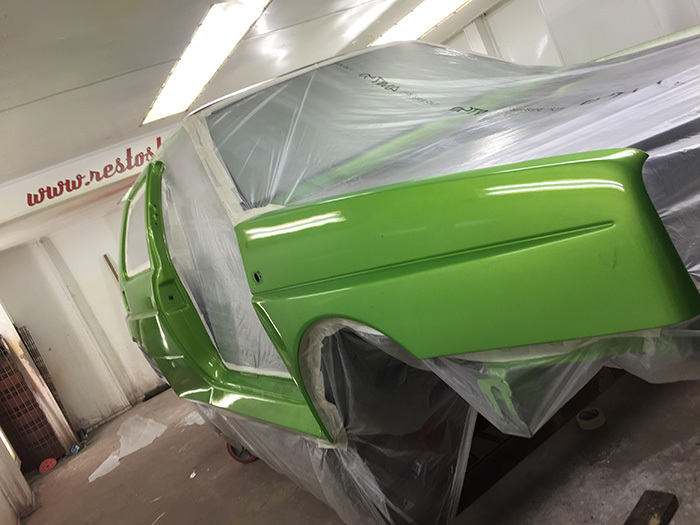 Our customer Bill has a good idea of what he would like from the car… Sorry the Green paint isn’t one of them! 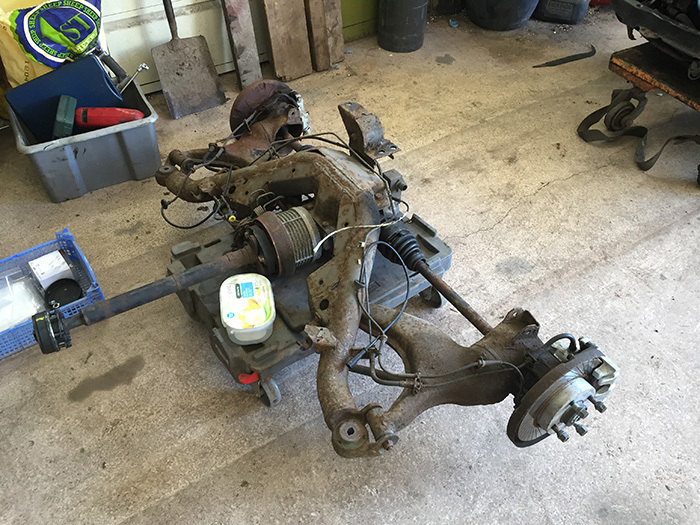 From the images you can see the results of the disassembly and inspection of all mechanical parts. They are stored according to the process they need i.e. cleaning, plating, replacement etc. 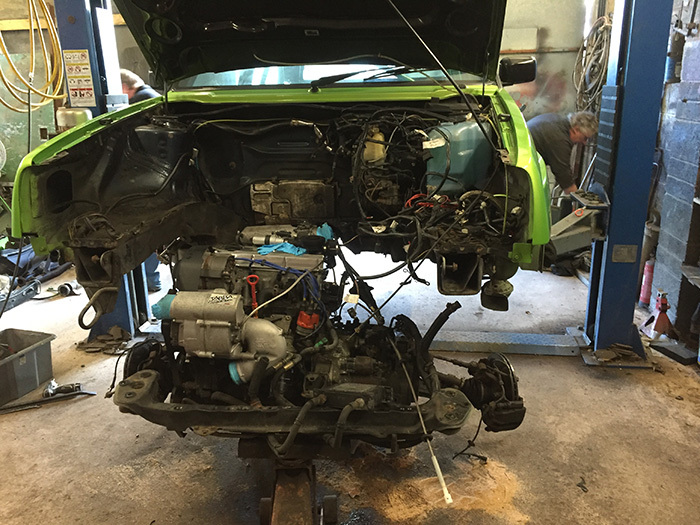 We can also get a jump start on any issue with the car when tearing it down, noting them to be addressed in the pre-assembly process. 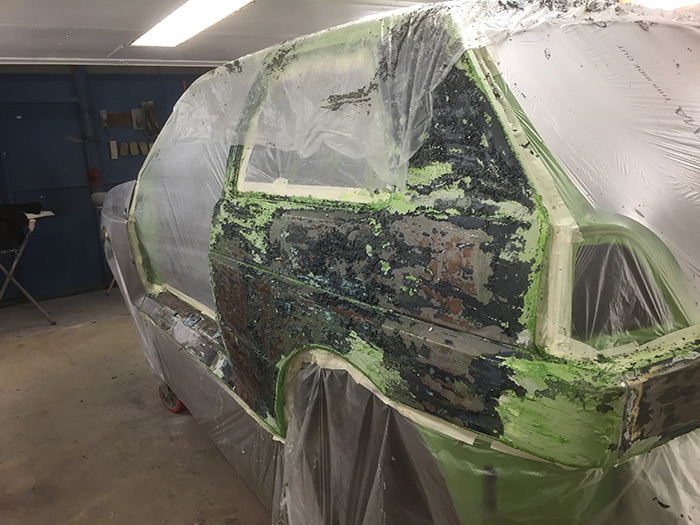 Once all the parts are off we need to strip the body shell of years of paint to access the body for any metal work required, it also provides us with a blank canvas to build on.